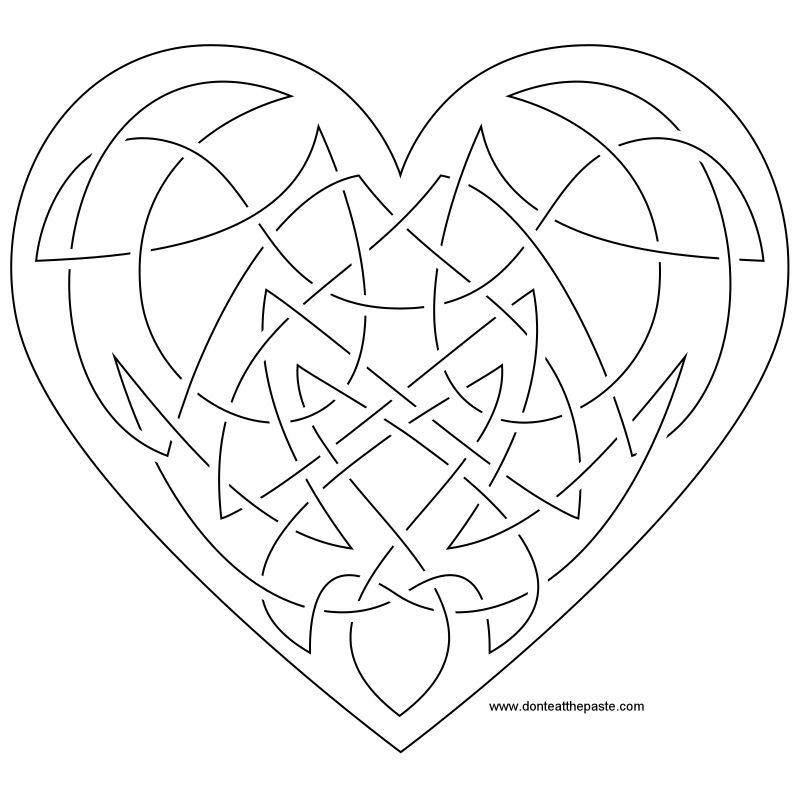 After posting the heart knot coloring pages the other day, I decided put the colored version on a printable box and to create an outline version for embroidery. Here they are. Click on the images for larger versions. For the box- print on card stock, cut out, score folds, fold, glue. 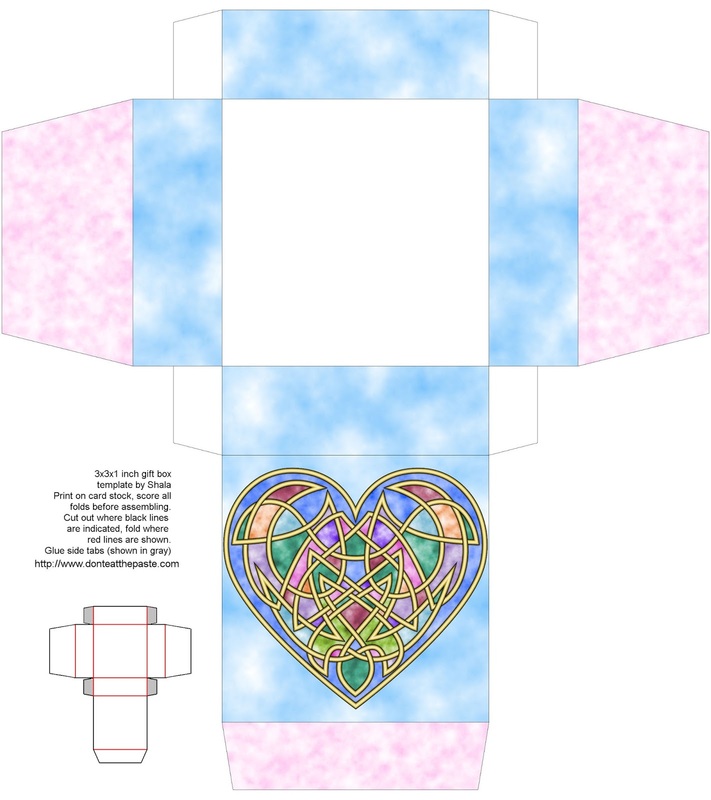 For the embroidery pattern- print to whatever size works for your project and transfer using your favorite method. Just in time - I need 8 valentines for a meeting. And this is perfect! 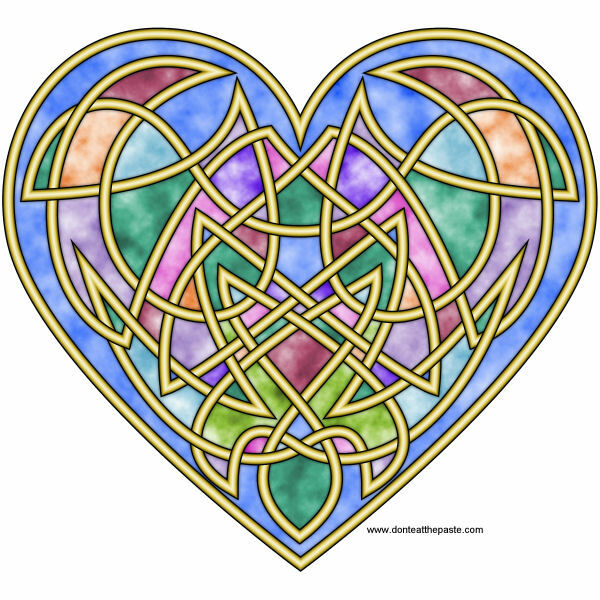 Love the heart pattern and it on the box.. would it be possible to have the box in black and white so I could have my homeschool co-op color it themselves? I'll have to modify it a bit, but that is certainly doable. Thank you for asking!